So here we are now - the final day of 2012. I don't know about you, but somehow every year seems to pass faster than the previous one.And come 2013, there will be new experiences awaiting for all of us with the most notable being Ayd embarking on his Primary School education journey while Ale will be looking to stay cry-free in her nursery class. Exciting times indeed. There have been pretty exciting times for us in 2012 as well, and I have chosen 12 blog posts I have written in 2012 that have stood out and remained dear to my heart. These include awesome experiences that my entire family have gone through together, as well as certain parenting episodes that are deeply etched in my mind. 12. Singapore Blog Awards Finalist - that's us! We were nominated as one of the Top 10 Finalists for the Best Family Blog category in the Singapore Blog Awards 2012 and I was chuffed to be in such great company. The boys stumbled onto the majestic-looking Dragon Playground in Toa Payoh and from there, began an expedition to suss out the remaining old playgrounds in Singapore - the Dove Playground in Dakota Crsecent, Elephant Playground in Pasir Ris and even Watermelons in Tampines. We got a huge scare back in April when Ash complained of a slight nagging pain in his left chest. It turned out to be an innocent heart murmur, but the pain of waiting for the test results to be out was excruciating. 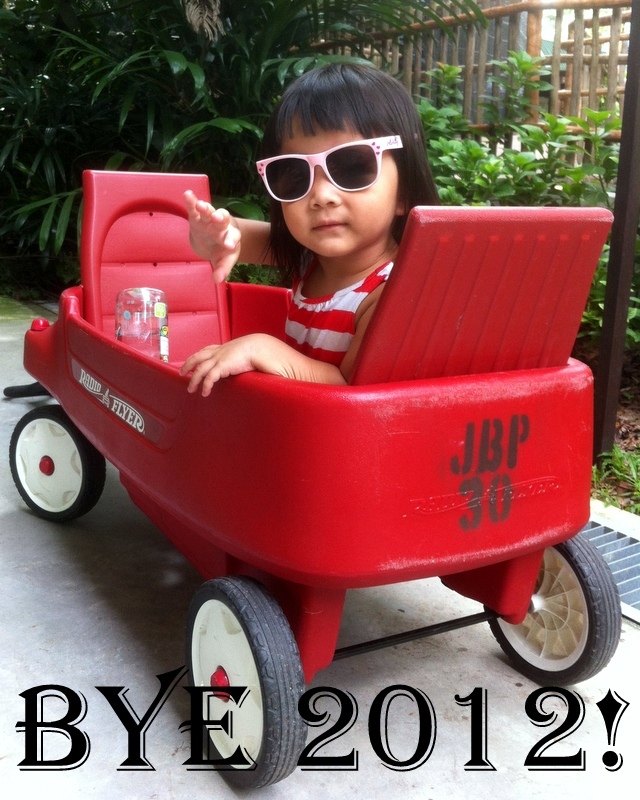 Since August 2012, I am honoured to be blogging on a monthly basis for www.maybebaby.sg , a parenthood website managed by I Love Children, a Voluntary Welfare Organisation which seeks to celebrate children and the joy they bring. Thanks to them, I was also invited to share my parenting thoughts on Radio 938Live's Parenting Made Easy segment. 8. My monkie. My brother. The 2 boys had one of their occasional squabbles but instead of running to the wifey or me for mediation, they settled this particular difference on their own. Better yet, the entire negotiation process was captured on video! My first writing gig - and a paid one at that! - for the Preschooler Survival Kit, a publication that is distributed to parents of preschool kids. I contributed 2 articles, the first being Singapore's Top 10 Indoor Playgrounds while the second touches on short family vacation destinations. I was one of the 20 AmBAYssadors selected for the Loving Marina Bay Photo Exhibition where it showcased the different facets of the Marina Bay precinct through over 100 photos taken by these AmBAYssadors. And I was deeply honoured and humbled to have been given the opportunity to showcase my photos to the public. I turned 36 this year. But 36 years of life could never have prepared me what Fatherhood had taught me in the soon-to-be 8 years. And these are just some of the things I have learned along my amazing parenthood journey. What a swell time we had in Gold Coast during the September School holidays! We got linked up with Tourism Queensland and they were extremely helpful in providing such amazing support for our trip. They connected us to the various accommodation owners in Queensland and in turn, they gladly put us up at their lodging for the duration of our stay in Queensland. Thanks to Friso Singapore, we were flown to visit the Friso-owned farms in Amsterdam, The Netherlands back in July. And it was truly the experience of a lifetime! Yes, we lost Ayd in LEGOLAND Malaysia - for a full 15 minutes. And I would never want to go through such an agonizing experience ever again, with the need to formulate a plan henceforth. A personal favourite entry of mine, where I talked about the perils of neglecting your kid's childhood as reflected by the song, Harry Chapin's 'Cat's In The Cradle'. And so, I compiled a list of activities to remind myself that I, as a Dad, should do with my kids through their growing years. 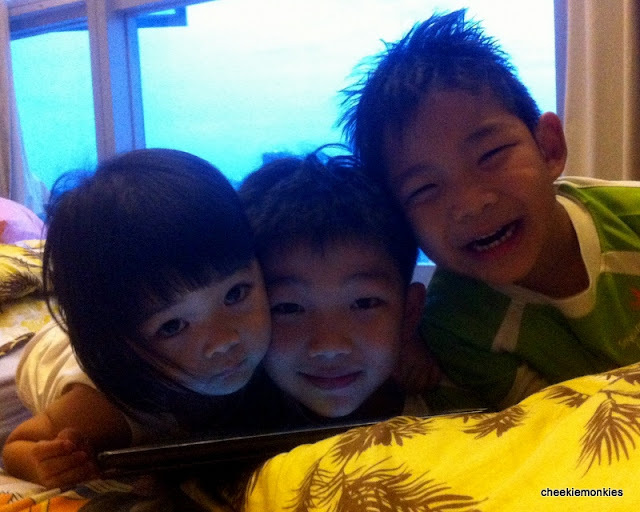 yo Kelvin, may 2013 brings more Fun and Peaks for Cheekiemonkies ! Just wanna drop by to say..i love ur blogs..especially when it comes to how u spent ur precious moments with the kids.. It teaches me too..altho i havent gt 1 yet..juz gt married 4mths.. :) I told my hubby abt ur blogs & hope that 1 day we will get the moments like ur family..which include parenting..